His Highness the Aga Khan after&nbsp;delivering a historic address to a joint session of the Parliament of Canada on 27 February 2014, at the invitation of Prime Minister Stephen Harper. Ottawa, Canada, 27 February 2014 — His Highness the Aga Khan today praised Canada’s efforts to reduce instability across the world and emphasized the role of strong civil society, education and good governance in fostering development of societies and in mitigating conflict. The Aga Khan made the remarks in a historic address to a joint session of parliament at the invitation of the Right Honorable Stephen Harper, Prime Minister of Canada. The 49th hereditary Imam of the Ismaili Muslims and Founder and Chairman of the Aga Khan Development Network (AKDN) cited Canada’s civil society as exemplary and expressed gratitude for the longstanding partnership between Canada and the AKDN. “In sum, I believe that Civil Society is one of the most powerful forces in our time - one that will become an increasingly universal influence, engulfing more countries, influencing, reshaping and sometimes even replacing ineffective regimes,” he said. “And I also believe that Civil Society around the world should be vigorously encouraged and wisely nurtured by those who have made it work most successfully - Canada first amongst all,” he added. In his address the Aga Khan bemoaned the rise of extremism and intolerance in some parts of the world. “In fact, one harsh reality is that religious hostility and intolerance seems to be on the rise in many places - from the Central African Republic, to South Sudan, to Nigeria, to Myanmar, the Philippines and other countries - both between major religious groups - and within them,” he said. The spiritual leader of the Shia Ismaili Muslims urged the West not to ignore the diversity of Islam and to communicate with both Sunni and Shia voices. “To be oblivious to this reality would be like ignoring over many centuries that there were differences between Catholics and Protestants - or trying to resolve the civil war in Northern Ireland without engaging both Christian communities,” he said. He warned that lack of understanding of Islam’s diversity and external interventions have exacerbated religious conflict in some areas. “It has increased massively in scope and intensity recently and has been further exacerbated by external interventions. In Pakistan and Malaysia, in Iraq and Syria, in Lebanon and Bahrain, in Yemen and Somalia and Afghanistan - it is becoming a disaster,” he said. 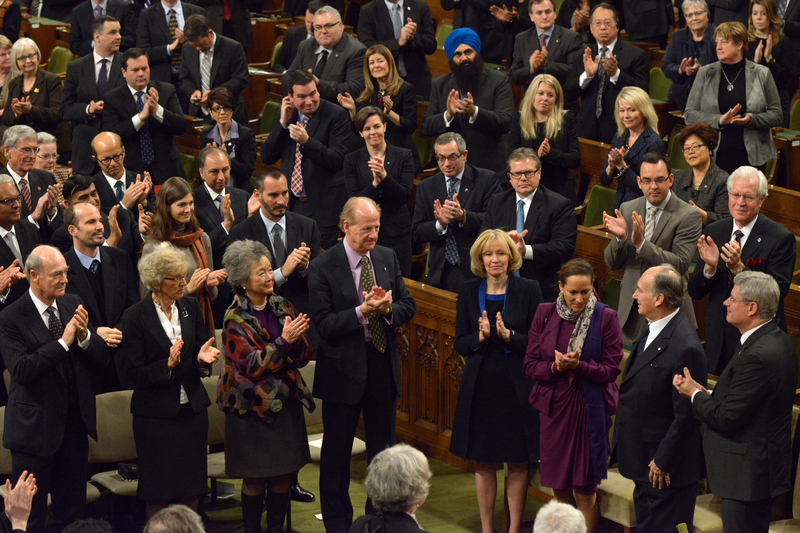 The Aga Khan is the first faith leader to be given the rare privilege of addressing the joint session of Parliament. In his speech, he described faith as “a force that should deepen our concern for our worldly habitat, for embracing its challenges, and for improving the quality of human life.” He went on to speak about the role of relations between the West and Islamic societies, describing this relationship as “central to the shape of global affairs in our time” and arguing that the clash of civilizations described in popular discourse simply does not exist. Later in the day, His Highness and the Prime Minister signed The Protocol of Understanding, which aims to provide a clear framework and strategic direction for Canada’s multi-faceted and strong relations with the Ismaili Imamat. It creates a formal dialogue process that allows for in-depth exchanges on countries and issues of common interest and seeks to solidify the important partnership that Canada has developed with the Aga Khan and his institutions over many years. In addition to development efforts, His Highness has launched several institutions in Canada, which stem from his admiration of Canada’s success as a pluralistic nation and his desire to create a greater understanding both within Muslim societies and between these societies and other cultures. These include the Global Centre for Pluralism – a joint initiative of the Canadian government and the Ismaili Imamat – and the Delegation of Ismaili Imamat in Ottawa. In May 2010, Prime Minister Harper and His Highness presided over the Foundation Ceremony of the Ismaili Centre, Toronto, and the Aga Khan Museum -- the first museum in North America dedicated exclusively to Islamic arts and cultures. His Highness was accompanied to Parliament by members of his immediate family.